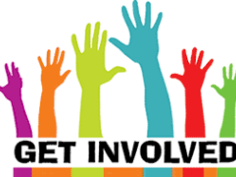 APWA offers a number of opportunities for its members to get involved at the national level by providing various groups and committees which are active throughout the year. APWA Minnesota recognizes the following members serving as committee members or Chapter liaisons on these groups and committees. APWA Diversity Statement: The American Public Works Association recognizes, appreciates and fosters the synergy which is created when the work environment values the differences in individuals and practices inclusiveness and open communication. government at all levels to better address disaster management. also recommends and advances APWA policies and positions concerning fleet operations.